The final day of the tour had quietly crept up on the tour members, wholly unaware of the euphoria yet to be experienced that day. 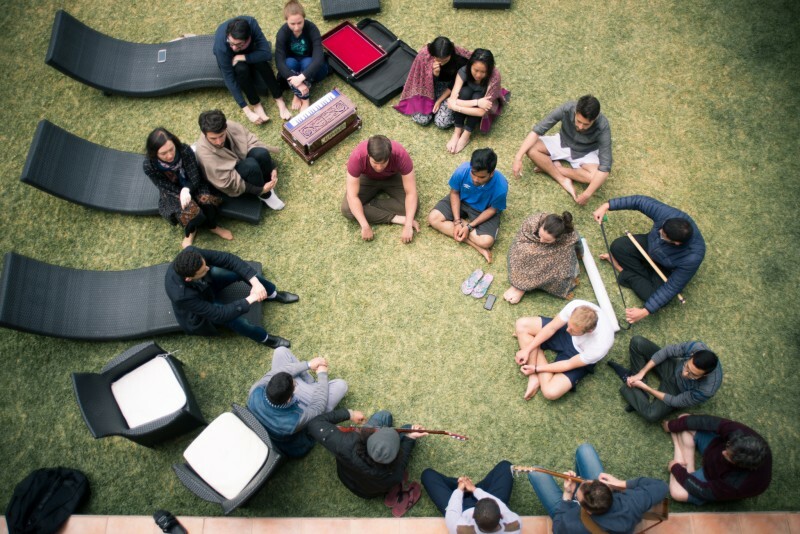 A welcome late morning meditation was accompanied with an underlying excitement in the air. 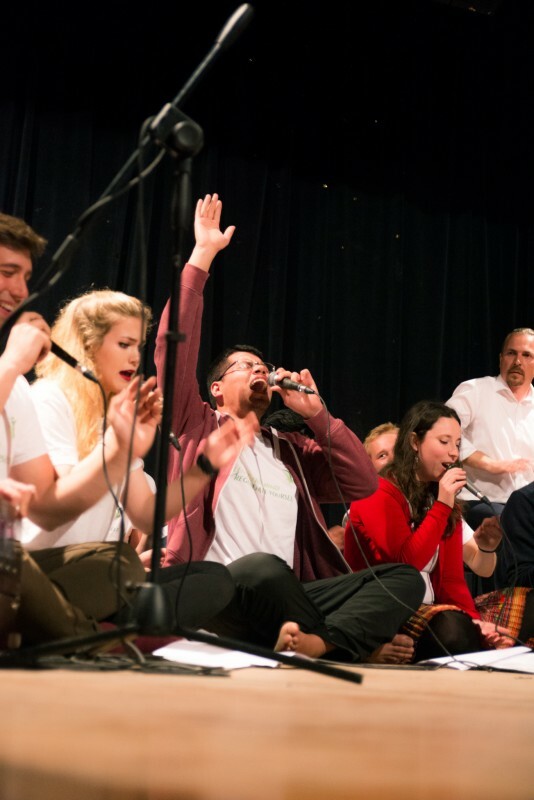 The members were tired, of course, but joy of the events so far was overflowing from the realm of emotion to the realm of physical expression. Soon enough water bottles were being unloaded onto unsuspecting souls. Such excitement required playful wrestling and energetic piling to regain balance. 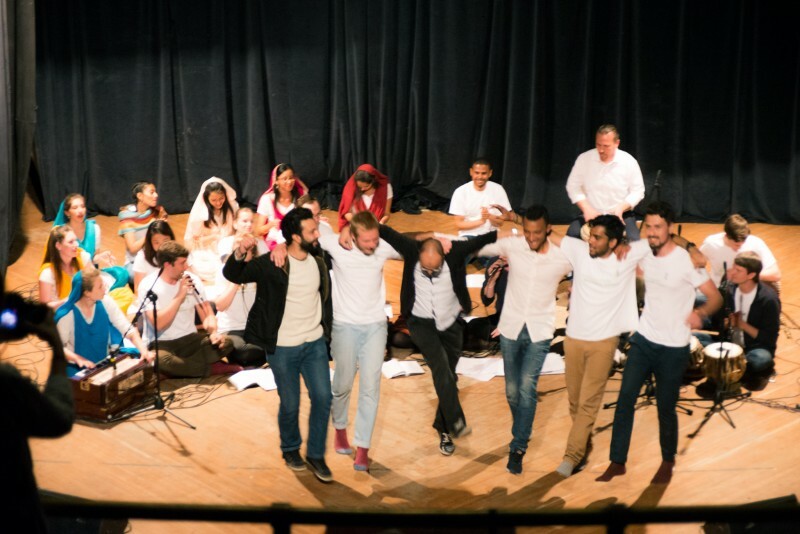 Some notable attendees to our public programs in Rabat were the successful Moroccan musician, Simo Saidi, and his close friends including Zakariya from Rabat University, who he performs with. 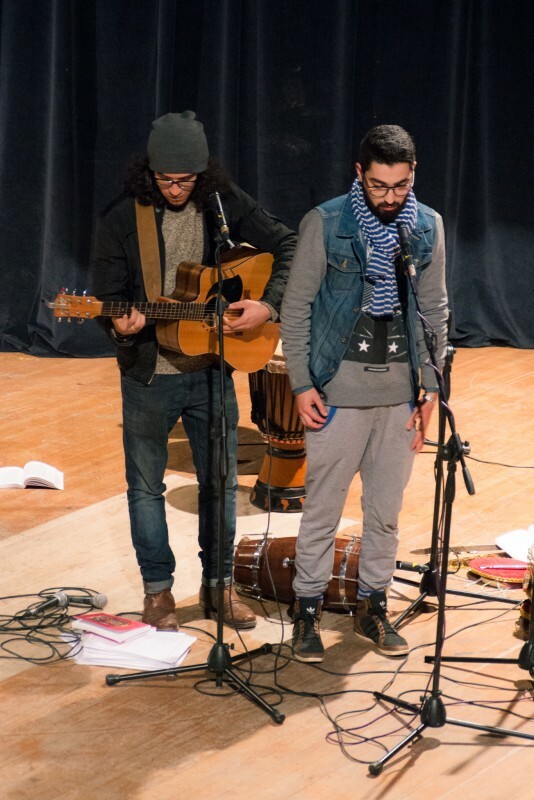 We had the pleasure of witnessing Simo and Zakariya perform live at one of our public programs as a result of their own desire to contribute to the evening and we soon developed a close relationship with them finding out that we share the same values and ideas about life. We asked them to join us in our final concert and they obliged and so that morning at 11am Simo and Zakariya along with other friends of the tour arrived at the villa for heartfelt hugs and last minute preparation. Practise for the concert followed a scrumptious breakfast. 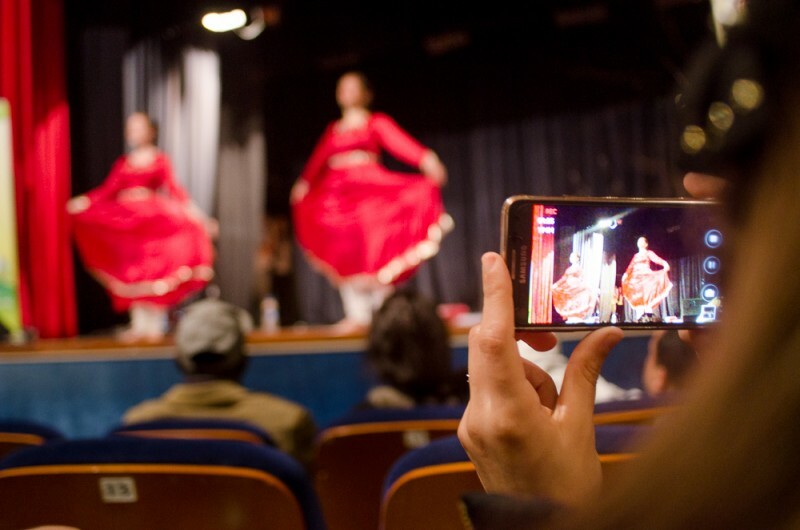 We put the hours in and left the house feeling prepared for the final show which was to take place at the Sidi Belyout Theatre in Casablanca at 6pm that evening. After an effortless trip we arrived at the theatre and eagerly unloaded the instruments and other ingredients necessary for the success of the concert. Here in this grand old building we found our stage for the evening; an intimate, classical theatre made up of terraced seating overlooking a spacious stage. Viewing this arena brought more excitement to the group and final preparations were soon under way. A routine soundcheck navigated. Final dance practise complete. Seats filling up. Nerves Steadied. Hearts open. And away we went! 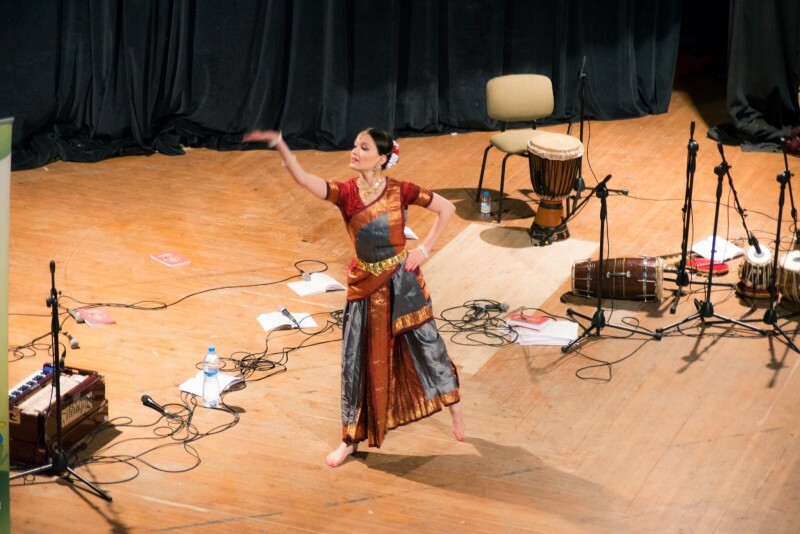 The concert started with bhajans; devotional group pieces from India, which introduced the audience to the energy they were to feel throughout the course of the evening. 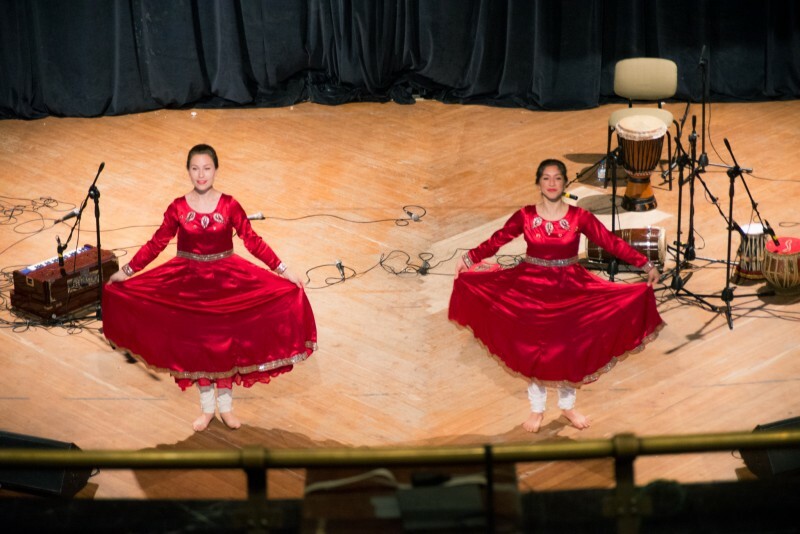 Then followed numerous individual and collective performances from the many talented members of the tour from eastern dance to western song. 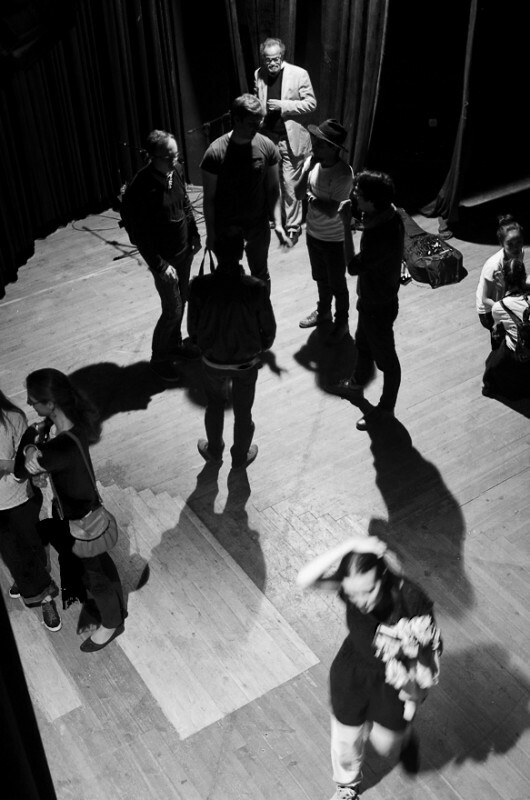 The crowd reacted with great appreciation after every act, and the energy in the room began to crescendo. 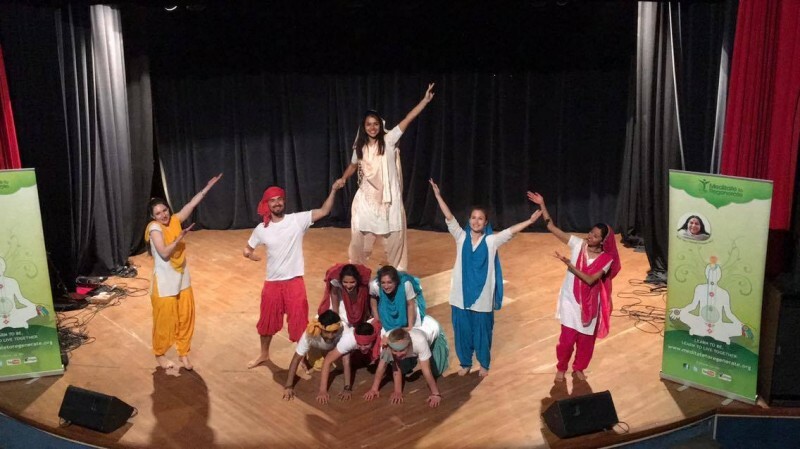 Simo made several appearances; one alone, one accompanied with Zakariya and one accompanied with Zakariya and some of the tour members in an abstract, improvised piece. 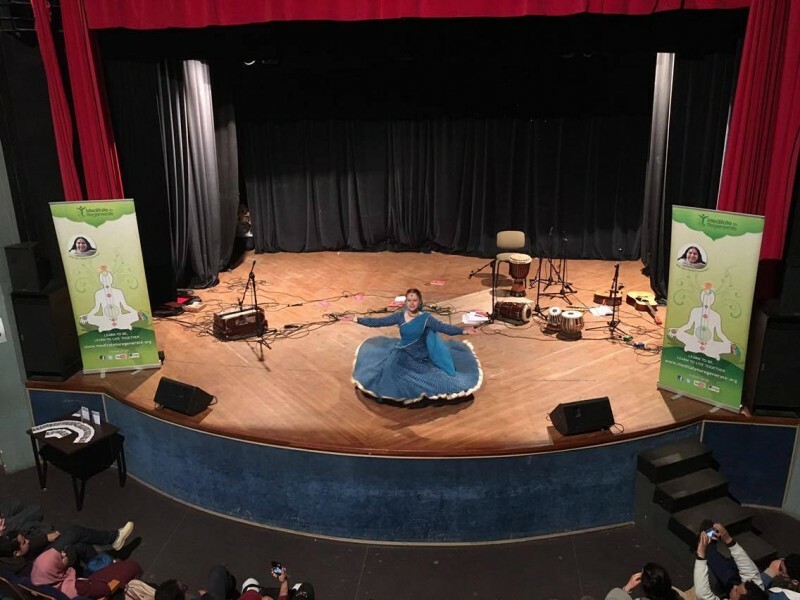 The evening came to a climax after a group meditation when qawwalis, devotional songs from Pakistan, were performed, lifted the roof off the theatre, sending shockwaves into nearby Algeria. 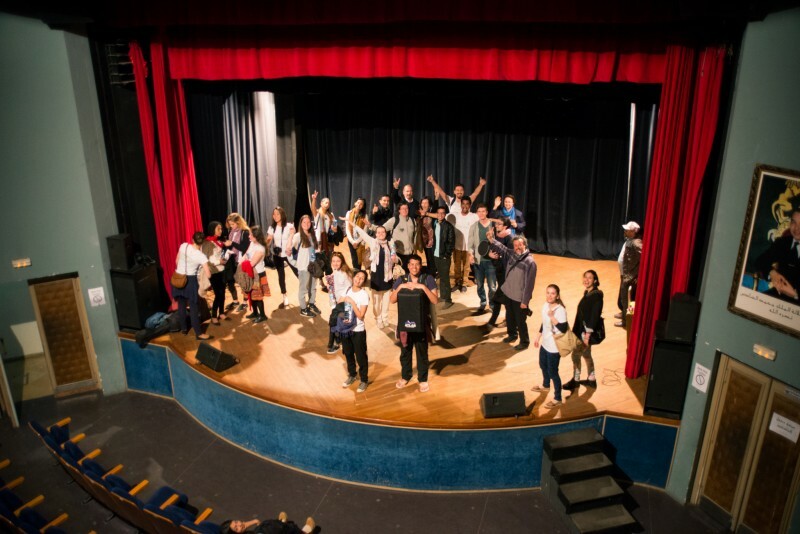 Soon enough performers and audience members were dancing in unison, throwing inhibitions to the wind and exercising their God-given right to express love and collective power. 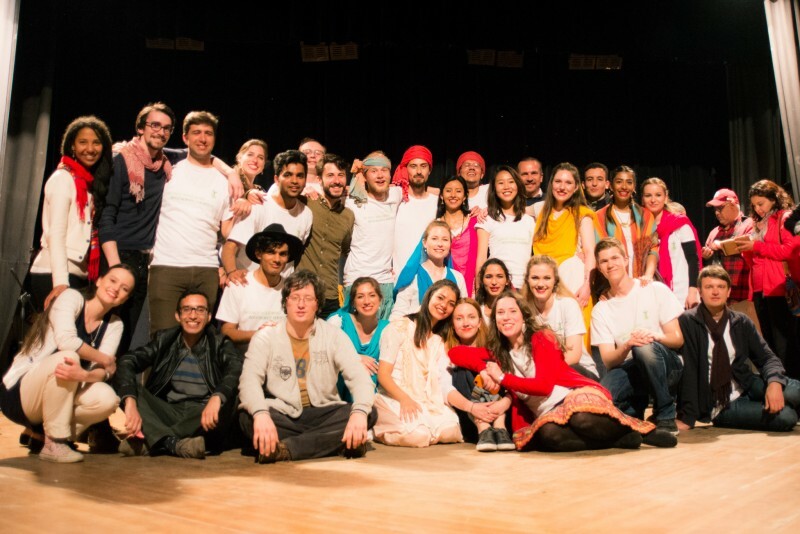 That they did with smiles on faces proving that people from all cultures could come together and celebrate these universal values as one. 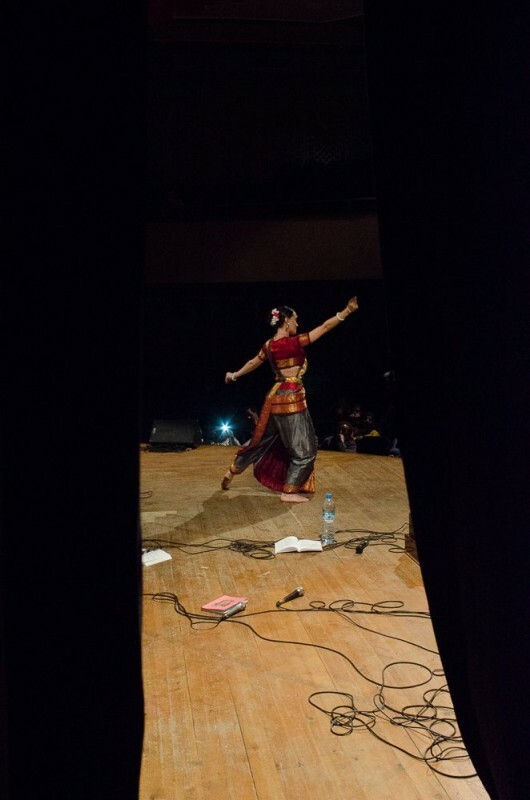 The distinction between guest and host morphed as the audience joined the tour members on stage, adding Arabic flavour to the dance on display. 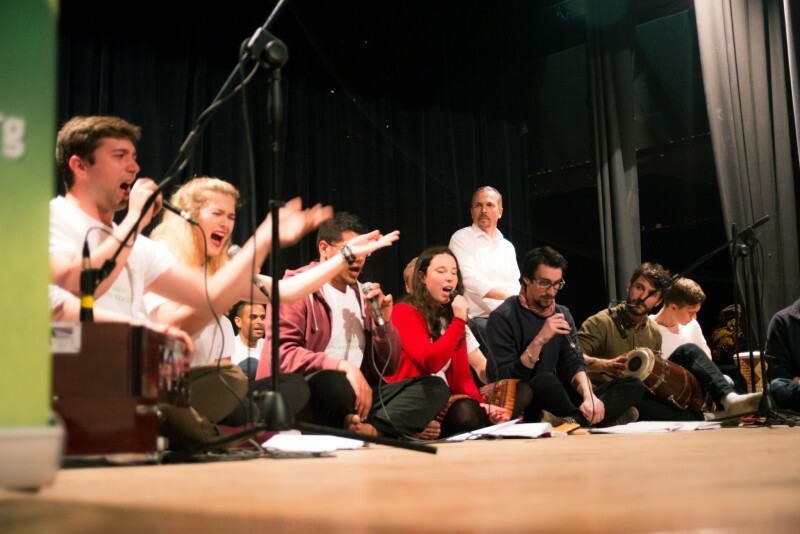 It felt as though an extended family had come together to enjoy music and dance in a familiar place, such was the relationship between all in the room. 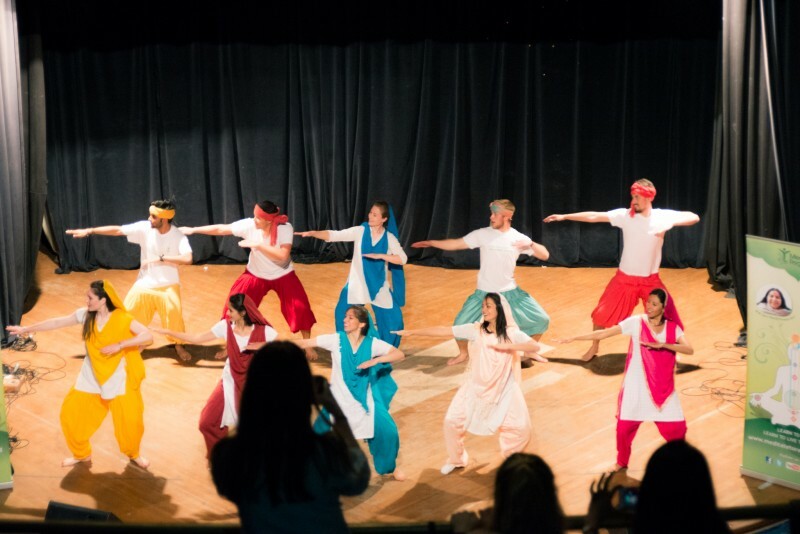 After the final qawwali, the bhangra dance was performed and the concert ended with the audience refusing to accept it was over, continuing the evening by chanting celebratory songs traditional to Arabic culture. What followed was an eruption of joy whereby every soul in the room started dancing. 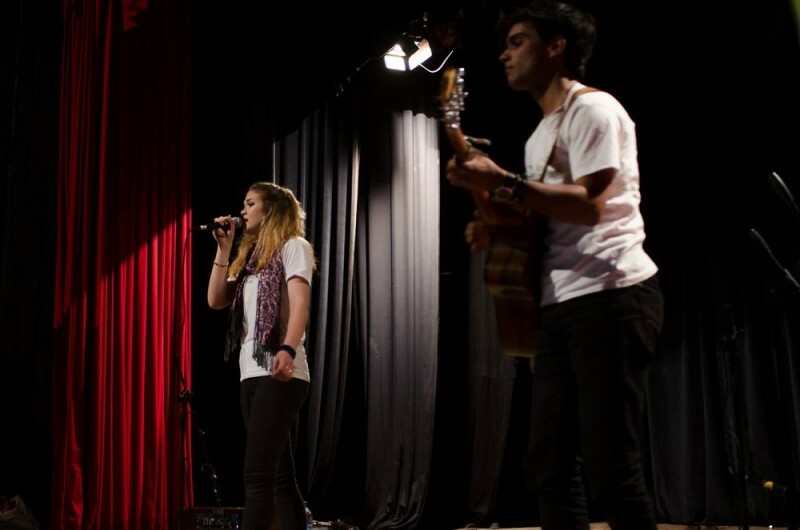 From performers to guests to organisers; no one could resist the power of the evening. We had not experienced such a connection with an audience before. It was magical. There were scenes usually only confined to movies! Chants continued and finally collective embraces and many group photos epitomised the community atmosphere created. All parties left feeling as though they had been apart of the night. This is what made it special. Following the performance, we were invited out to dinner by the theatre organisers, much to our gratitude, to celebrate the spectacle. We dined with friends and family and enjoyed conversing with the beautiful humans we had met along the way. The Moroccan food was exquisite and the Moroccan evening: a delight. We filled our stomachs and then listened to final farewell speeches designed to create laughter in the moment and bring tears to eyes upon reflection. There were too many to thank for the success of the tour though Shalini Ward and Anjani McHugh were the most prominent, with the group having such admiration for their work and devotion. We said farewell to everyone that night yet we knew the period spent away would be short lived, acknowledging that our time in Morocco was only just beginning. Doubts about life were erased then and there. For such love to join our paths, for such compassion to be shown by all who crossed them, how could we fear anymore? How could we doubt? To end the tour on such a note was truly a blessing; how thankful we were and still are to have been apart of it!